Gyu-Sung Cho1,5, Claudia Cappello2, Katrin Schrader3, Olakunle Fagbemigun4, Folarin A.
and Fermentation Sciences, Appalachian State University, Boone, NC 28608. Microbiology and Biotechnology, Hermann-Weigmann-Straße 1, D- 24103 Kiel, Germany Tel. case of fermentation inoculated with the co-culture, the viscosity of the milk increased noticeably. predominant lactobacilli related to Tajikistan fermented milk products. in which lactic acid bacteria (LAB) such as Lactobacillus and Leuconostoc spp. predominate. as Saccharomyces cerevisiae and Candida spp. also may play a role in the fermentation [3, 6, 7]. however, the LAB, especially the lactobacilli associated with the product has not been identified. containing 20% (v/v) glycerol (Merck, Darmstadt, Germany). (BioMerieux, Nürtingen, Germany) identification system. 5’- TAC GGY TAC CTT GTT ACG ACT -3’) and 1.5 U Taq DNA polymerase (GE Healthcare). present in the EzTaxon database . plasmid related sequences were detected using the Plasmidfinder pipeline . population of this fermented product (Qvirist et al., 2016). (Merck) agar for the S. thermophilus counts (only for the fermentation that contained S.
which 0.2% of a 10% tartaric acid solution was added after autoclaving, to adjust the pH to 4.6. YGC agar plates were incubated at 25°C for 72 h.
recorded at a temperature of 20°C using a logarithmic ramp of the shear rate (10 to 1000 s-1). These measurements were performed after 24 h and 48 hours of fermentation. breakpoint values for each antibiotic were adopted from EFSA . sequencing of the 16S rRNA gene and RAPD PCR strain typing were done. The lactobacilli could be identified as belonging to one of five species, i.e. L. paracasei, L.
scores for the EzTaxon analyses and the corresponding strain identifications are shown in Table 1.
subgroup I at r = 67.9% and all of these, except for one (TJB 4) which was identified as L.
isolates from subgroup I except TJB 4 were identified by 16S rRNA gene sequencing as L.
7A and 26B) as L. plantarum strains and one isolate (TJA 26S) as L. pentosus. sequencing. Interestingly, the two strains TJA 20 and TJA 24A clustering together with the L.
and all fermented glucose, mannose, and lactose, which is typical for these bacteria. has given new insight into functional genomics of LAB associated with food fermentations . genomes ranged from 51 to 245 and the genome sizes ranged from 1.75 to 3.24 Mbp (Table 3). responsible for production of the diacetyl precursor α-acetolactate (Table 3). showed only a ca. 1 log increase in growth to reach a final level of ca. 1 x 108 CFU /ml (Figure 2). This growth led to only a moderate pH decrease from pH 6.6 to ca. 5.4 (Figure 3). The L.
potential starter strains with yeast led to the lowest determined pH of ca. pH 3.4 (Figure 3). not shown). In this case the pH of the fermentation decreased to pH 3.5 (Figure 3). to 100/s and shear thinning behavior in the range above 100/s after 24 as well as after 48 hours. lactobacilli strains were able to grow in the LSM medium, except for the TJA 17 and TJA19 L.
were resistant to chloramphenicol. In the present study, however, almost all strains except L.
antibiotics tested and this allowed a selection of strains as safe starter strains. Thus, the strains L.
the four selected strains possessed any acquired antibiotic resistance genes (Table 3). with regard to transferable antibiotic resistances. produced only the L- lactic acid enantiomer and grew at 15 but not at 45°C, which is typical for L.
melizitose as carbohydrate source (Table 2), which indicates that these strains are indeed L.
were also characteristic for these bacteria . Swiss-type hard cheeses  and its presence in milk fermentations. grouped well the strains according to their 16S rRNA gene sequence-determined identities. during the goat milk fermentation. When single strains of each species, i.e. L. plantarum TJA 26B, L. delbrueckii TJA 31, L.
of the strains grew well but the showed quite different acidification behavior, from pH 3.8 for L.
would prevent the growth of most foodborne pathogenic bacteria. improved conditions for growth of the cultures which did not grow well in the goats milk, i.e. L.
plantarum TJA 26B and L. helveticus TJA 10, which only grew to ca. 1 x 108 CFU /ml (Figure 2). such as possibly vitamins, trace elements or amino acids. Indeed, a previous study of Plessas et al. showed that synergistic effects could be determined during growth of L. helveticus, L.
vitamins, which in turn promote growth and lead to increased lactic acid production . 48 hours, cultures TJB 4, TJA 10, TJA 26B and TJA 31 also showed shear thinning behavior. The maximum viscosity directly corresponded to the lowest pH value. resistances are problematic depends on whether they can be transferable to other bacteria, i.e. susceptible strains for use as potential starter cultures. to consist of L. delbrueckii subsp. bulgaricus, L. helveticus, L. pentosus and L. paracasei strains. 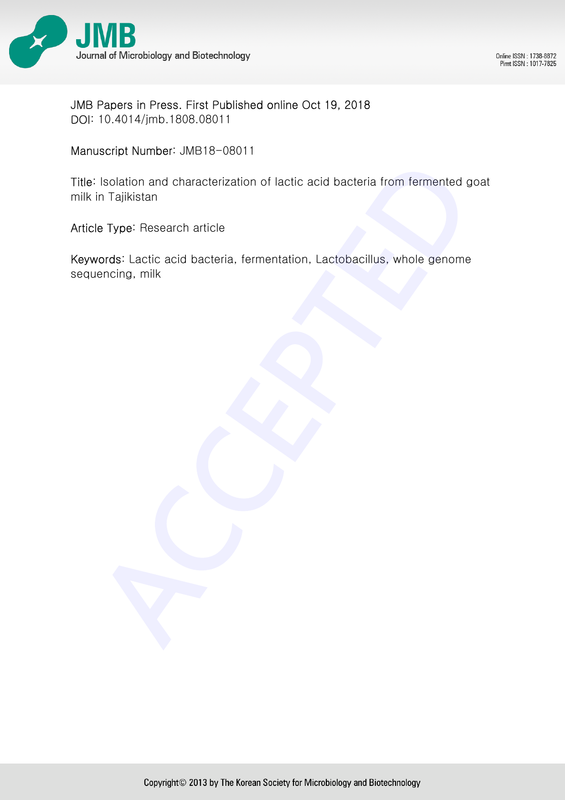 Lactobacillus isolates from Tajikistan fermented milk were generally susceptible to antibiotics. 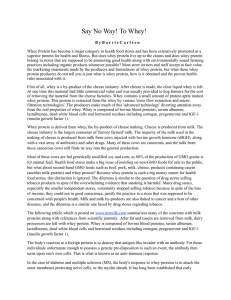 of producing the aroma compound diacetyl. fermentation are K. marxianus (as previously reported by ) and the Lactobacillus spp. accession no. listed in Table 3. The authors acknowledge the team of the Yaghnob Valley Mission directed by Prof.
invaluable support in providing samples and fruitful discussion. Differential characteristics of Lactobacillus isolates and 16S rRNA sequences. Production of D-, L- and DL lactic acid as end product. Carbohydrate fermentation of Lactobacillus strains. of species, - : negative fermentation. 1; base pair, 2; not detected, 3; gene detected. Antibiotic resistance tests of isolates. chloramphenicol, Gent gentamicin, Van Vancomycin. developing countries. Int J Food Microbiol. 75: 197-212.
fermentation industry. Trends in Food Science & Technology. 15: 67-78.
strains. Int J Food Microbiol. 238: 103-112. Fermented Foods and Beverages. Front Microbiol. 7: 377.
and beverages. Food Research International. 36: 527-543.
fermented foods and probiotics. Int J Food Microbiol. 190: 84-96.
and Characterization of Yeasts from Fermented Goat Milk of the Yaghnob Valley in Tajikistan. reactions of food-borne and waterborne bacteria and yeasts. Appl Environ Microbiol. 61: 37563758.
fermented milk in Kenya. 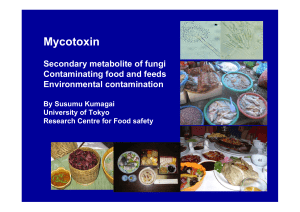 Int J Food Microbiol. 94: 269-278.
guanidium thiocyanate. Lett Appl Microbiol. 8: 151-156. Lactobacillus sake strains producing ropy slime. Int J Food Microbiol. 30: 293-302. Bolger AM, Lohse M, Usadel B. 2014. Trimmomatic: a flexible trimmer for Illumina sequence data. annotations using subsystems technology. BMC Genomics. 9: 75. Zankari E, Hasman H, Cosentino S, Vestergaard M, Rasmussen S, Lund O, et al. 2012. Identification of acquired antimicrobial resistance genes. J Antimicrob Chemother. 67: 2640-2644.
detection and typing of plasmids using PlasmidFinder and plasmid multilocus sequence typing. 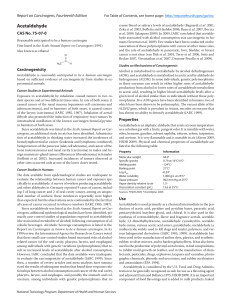 Antimicrob Agents Chemother. 58: 3895-3903. Klare I, Konstabel C, Muller-Bertling S, Reissbrodt R, Huys G, Vancanneyt M, et al. 2005. Pediococci, Lactococci, and Bifidobacteria. Appl Environ Microbiol. 71: 8982-8986.
and veterinary importance. EFSA J. 10: 1-10. Douillard FP, de Vos WM. 2014. Functional genomics of lactic acid bacteria: from food to health. Microb Cell Fact. 13 Suppl 1: S8. Dellaglio F, Felis GE, Castioni A, Torriani S, Germond JE. 2005. Lactobacillus delbrueckii subsp. indicus subsp. nov., isolated from Indian dairy products. Int J Syst Evol Microbiol. 55: 401-404. Adimpong DB, Nielsen DS, Sorensen KI, Vogensen FK, Sawadogo-Lingani H, Derkx PM, et al. 2013.
fermented beverage in Burkina Faso. Int J Syst Evol Microbiol. 63: 3720-3726. L. paraplantarum by recA gene sequence analysis and multiplex PCR assay with recA genederived primers. Appl Environ Microbiol. 67: 3450-3454.
the preparation of Gari, a traditional African food. Syst Appl Microbiol. 28: 527-540.
hybridization with a Lactobacillus plantarum pyrDFE probe. Int J Syst Bacteriol. 46: 588-594. 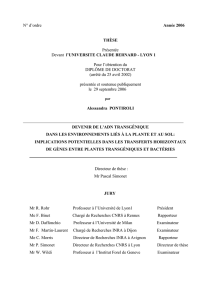 1919) Bergey et al. 1925 (Approved Lists 1980). Int J Syst Evol Microbiol. 56: 355-360. Giraffa G. 2014. 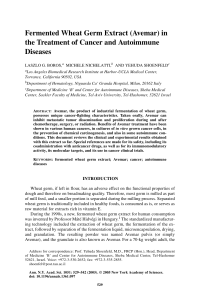 Lactobacillus helveticus: importance in food and health. Front Microbiol. 5: 338. "Almagro" eggplant fermentations from two seasons. FEMS Microbiol Lett. 238: 159-165. Griffiths MW, Tellez AM. 2013. Lactobacillus helveticus: the proteolytic system. Front Microbiol. helveticus--a thermophilic dairy starter related to gut bacteria. J Dairy Sci. 93: 4435-4454. TC, et al. 2014. Influence of different proteolytic strains of Streptococcus thermophilus in coculture with Lactobacillus delbrueckii subsp. bulgaricus on the metabolite profile of set-yoghurt. Int J Food Microbiol. 177: 29-36. Lactobacillus helveticus. Bioresour Technol. 99: 5951-5955.
and Lactococcus species. Front Microbiol. 4: 301.
chloramphenicol resistance determinant (cat-TC) from Lactobacillus reuteri G4. Plasmid. 36: 116124.
human origin in Turkey. FEMS Microbiol Lett. 236: 7-12.
tetracycline resistance in Enterococcus isolates from food. Appl Environ Microbiol. 70: 1555-1562.
potentially probiotic Lactobacillus plantarum strain CCUG 43738. Antimicrob Agents Chemother. bacterial isolates from probiotic products. Int J Food Microbiol. 81: 1-10.
bacteria and bifidobacteria. Food Microbiol. 24: 559-570. Hugenholtz J. 1993. Citrate metabolism in lactic acid bacteria. 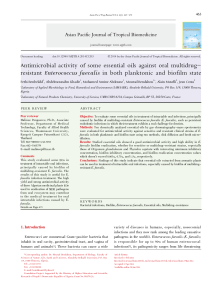 FEMS Microbiol Rev. 12: 165-178.
yeast Kluyveromyces marxianus MBT-5698, co-culture 2: four starter lactic acid bacteria with S.
triplicate determinations with indicating a standard error. marxianus MBT-5698. Goat milk without inoculation of LAB as negative control. 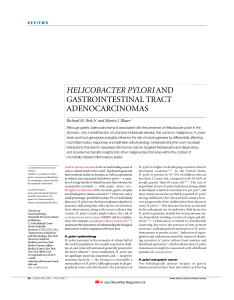 Ouvre une page vers la ressource "Helicobacter pylori and gastrointestinal tract adenocarcinomas."